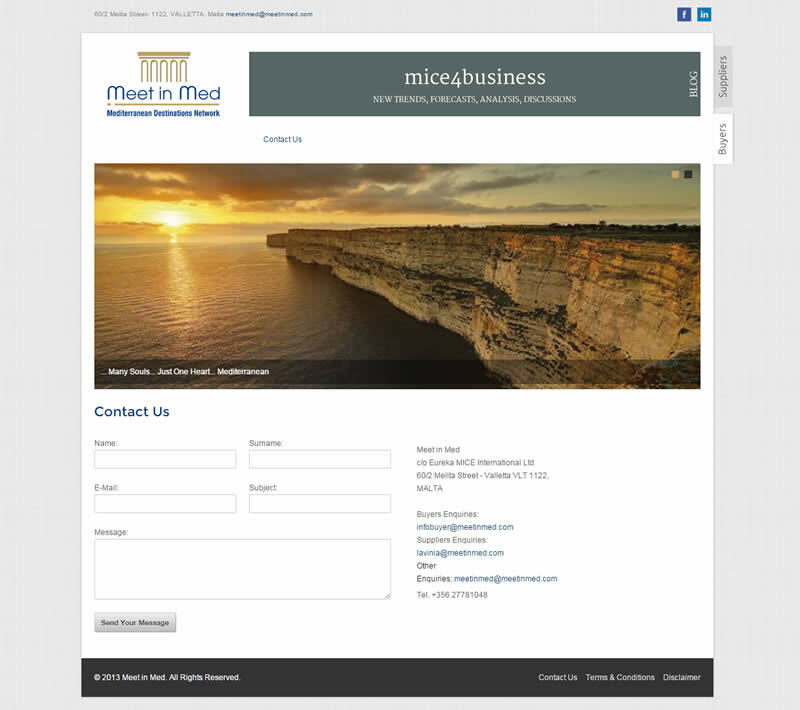 Meet in Med, a marketing project which has the aim of linking MICE organisation around the Mediterranean, has worked with the Abakus team to create their online presence. 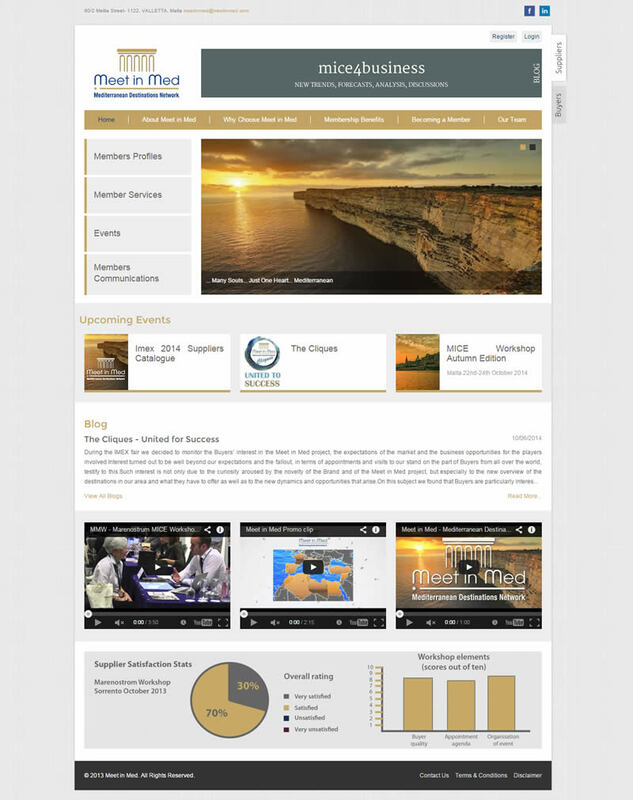 The brief for this project was somewhat different, as the client did not only wanted to create a marketing platform. 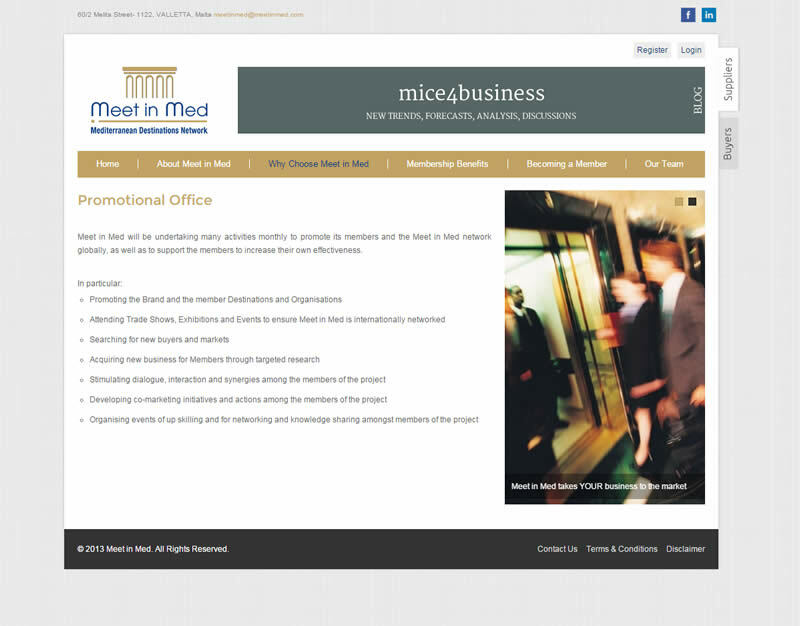 Meet in Med wanted to create a bespoke portal through which interested organisations could register with them and highlight their company. 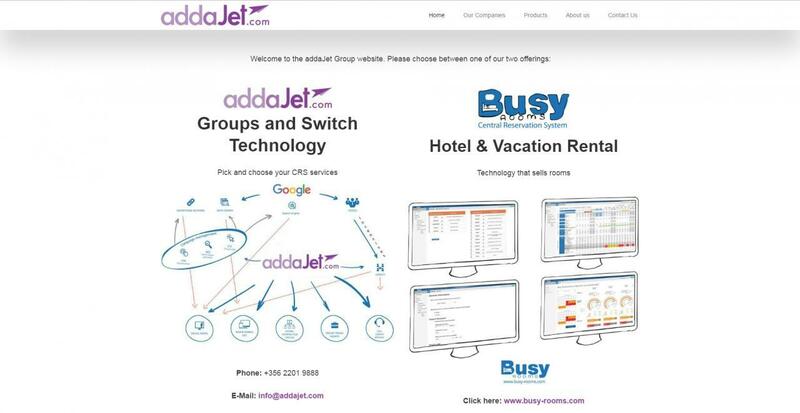 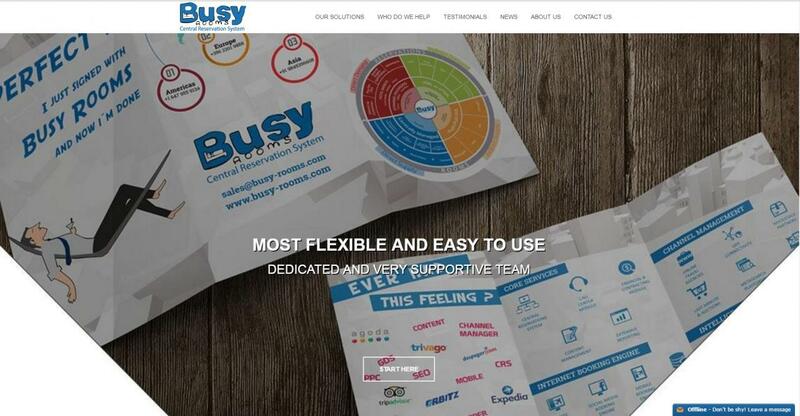 The end result was a customised website through which the client could fulfil all of their online needs.